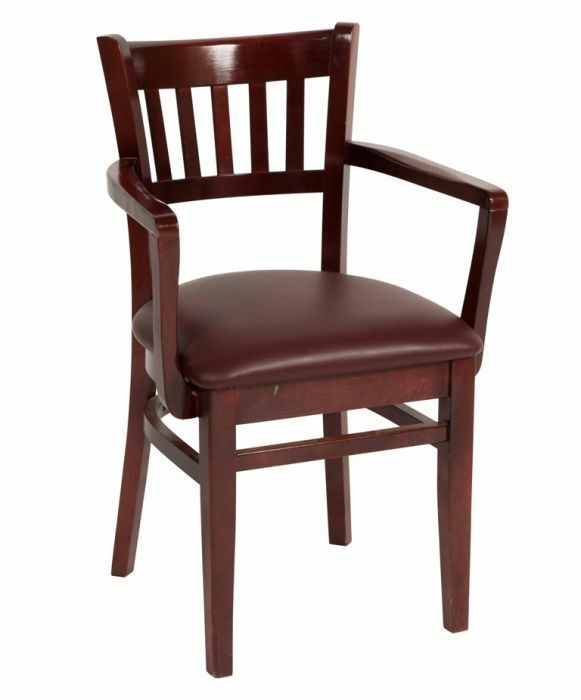 Popular dining armchair in a wide choice of finishes with an upholstered seat option. Fast and free delivery and suitable for a wide range of commercial venues. Popular design restaurant chair, ideal for use in a Gastropub or public house atmosphere. The chair has been manufactured to an extremely high standard, for use in a commercial property.